Otolaryngology Update: 28th ANNUAL CONFERENCE OF RHINOLOGY SOCIETY OF INDIA (RHINOCON) 27-29 November, 2015. 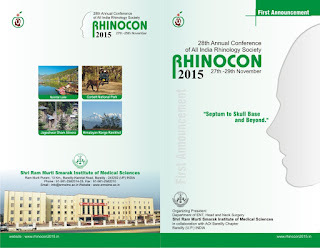 28th ANNUAL CONFERENCE OF RHINOLOGY SOCIETY OF INDIA (RHINOCON) 27-29 November, 2015. 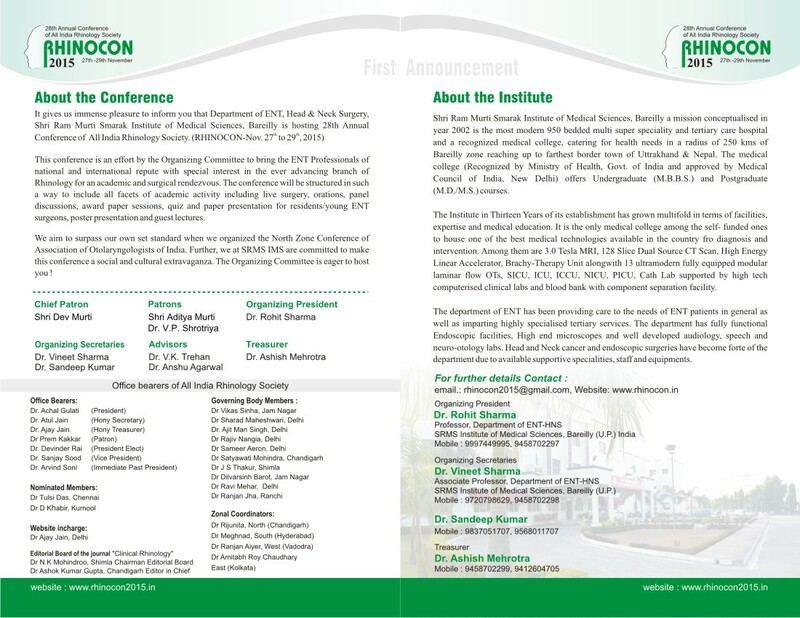 We have immense pleasure in announcing the 28th ANNUAL CONFERENCE OF RHINOLOGY SOCIETY OF INDIA (RHINOCON) 27-29 November, 2015. 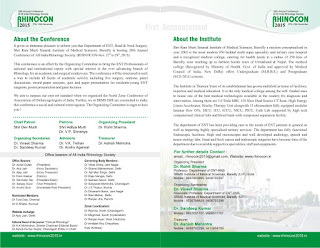 Organized by Dept of ENT-HNS, SRMS Institute of Medical Sciences in collaboration with Bareilly Chapter of AOI. Entries are invited for Presentations by faculty or consultants, Sr./Jr. consultant award papers, Video sessions, PG paper, poster presentations and quiz etc. Multicity Cheque/D.D./Online Transfer in favor of RHINOCON 2015 SRMS IMS Bareilly.